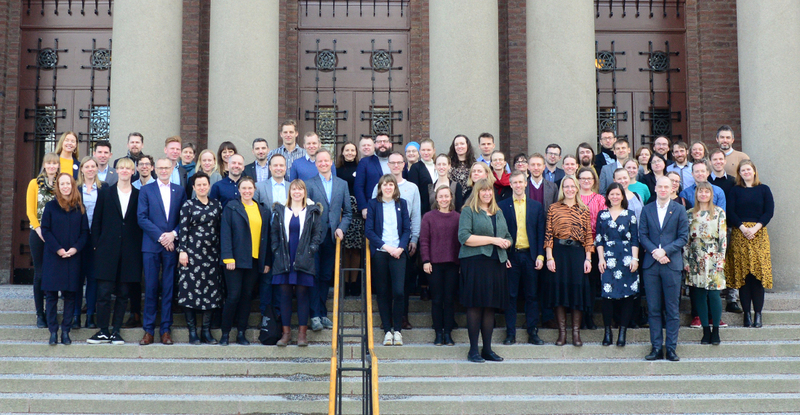 During March 20–21 more than fifty reserachers from young academies in the Baltic and Nordic region met in Stockholm. The two overarching themes for the workshop were gender equlity in academia and research outreach. On day one Tiina Suopajärvi (researcher at NordForsk Nordic Centre of Excellence on Women in Technology Driven Careers NordWit), opened the meeting with a keynote. We then performed workshops in smaller groups and transdiscplinary speed dating one on one. Arne Flåøyen (Director) NordForsk presented NordForsks ongoing projects and funding strategies. Shared best practices between young academies rounded up the day. A reception were generously held for us at the Stockholm City Hall. It has been said that some young academy members also tried out the Stockholm night life. Day two started out with a workshop on outreach led by Rikke Schmidt Kjærgaard (Executive director) and Katrine Hassenkam Zoref (Project manager) for Videnskapsklubben . Young Academy of Denmarks Videnskabsklubben has a successfull concept for engaging children in science and research through an empowering and playful manner of exploration. A brave group of volunteers performed a primatology exercise designed for children to their cheering peers in the Linnean foyer at the Royal Swedish Academy of Sciences where the meeting took place. Thanks to Center for the History of Science we also enjoyed a guided tour of the Session hall where the Nobel Prizes in Physics and Chemistry and the Prize in Economic Sciences are announced annualy. The meeting was organised with support from NordForsk and The Foundation for Baltic and East European Studies, Östersjöstiftelsen .